Cuba's struggling economy has been boosted by the successful export of its medical technology abroad, and by health tourism within the country. Cuba's position in the developing world has always been something of a paradox. 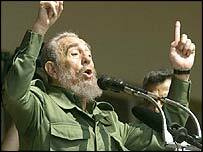 Its low material living standards and crisis-ridden economy leads to a low per capita income, but President Fidel Castro's Caribbean blend of socialism has developed a public health system that places Cuba in another league altogether on human development indexes. Basic health indicators are comparable to the achievements of welfare systems in western Europe. 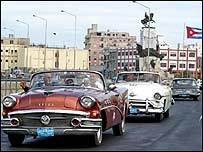 Education, science and health, the cornerstone of the 1959 revolution, are closely linked together in Cuba's development of an advanced medical sector. The export of pharmaceutical products, vaccines and biotechnology helps to pay for the growing costs of funding medical research and a free health system with comprehensive coverage. Today the medical sector ranks sixth in terms of exports and services, providing the country with vitally needed foreign exchange that was worth $250m a year in 2002. Out of that figure biotechnology alone accounted for more than $150m. 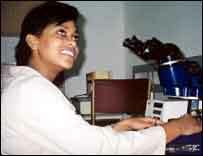 In the 1980s millions of dollars were invested by the Cuban government in developing modern vaccines laboratories and a massive centre for biotechnology. Since the end of Soviet aid in 1989, and the acute economic crisis of the 1990s, Cuba has seen the excellence of its medico-scientific institutions as a strategic resource for developing new medical products for export. The country's first breakthrough in medical research was its discovery and patenting of meningitis-B vaccine in late 1980s. It has been successfully exported to cope with epidemics in South American countries including Brazil and Argentina. The vaccine has now been licensed to GlaxoSmithKline who will now market it in Europe and it is hoped eventually in the USA. Cuba's attempts to gain a foothold in the international pharmaceutical market have come up against formidable obstacles, both commercial and political, with the stringent US trade embargo. This socialist island's strength has been in the quality of its products, not in marketing and export know-how. During the last few years the biggest earner for Cuban biotechnology has been the export of Hepatitis-B vaccine to more than 30 countries. The Cuban vaccine is widely regarded as the more effective than Belgian and US-produced vaccines. Cuba maybe judged poor by material living standards, but its medical sector is a strong demonstration of its wealth in human resources. Joint ventures with China, India and Russia have been established to set up vaccine plants in their countries based on a transfer of Cuban technology. Another growing source of income is health tourism, with a number of specialist hospitals, clinics, health spas and resorts catering to foreign visitors. 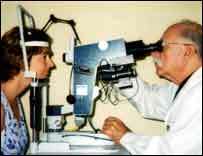 Last year more than 5000 foreign patients travelled to Cuba for a wide range of treatments including eye-surgery, neurological disorders such as multiple sclerosis and Parkinson's' disease, and orthopaedics. Most patients are from Latin America. Health tourism generates revenues of around $40m a year. More than 500 different medical products are manufactured by the pharmaceutical industry, which during the1980s provided 80% of domestic needs. Now most supplies of raw materials for the manufacture of antibiotics and other drugs are sourced from China, but production still has not recovered to pre-1990s levels. Many drugs are supplied to hospitals by international aid from Cuba Solidarity Groups around the world. The special obstacles to Cuba breaking into the western market have led to a policy of trying to find joint venture partners, which currently include a Canadian, German and a Spanish company. Cuba's cutting-edge products for neck and breast cancer have caused the biggest stir in the world of biotechnology. They have just been licensed to a German pharmaceutical company, with rights to develop the drug TheraCIM h-R3 for the European market. Analysts say so far the commercial rewards for Cuba's many medical innovations have only been a fraction of their potential. But if TheraCim h-R3 receives regulatory approval, it could become a standard cancer treatment in Europe in four or five years, with estimated sales of around $3bn a year. In the long-term, Fidel Castro's big gamble with the heavy state investment in biotechnology may finally pay a dividend not only in health benefits, but also in the top-notch economic rewards that have so far eluded him. It would also be a very satisfying for Cuban scientists to feel their research and development, which is not driven by the profit motive, had been successful in the world marketplace.